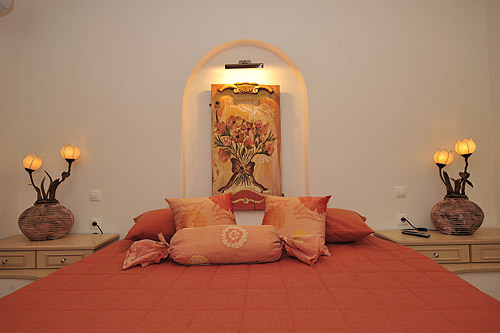 ISABELLA apartments Suites are located at the heart of Naoussa, a few meters from the beach and the fish port. Naoussa is one of the few regions with tourist development, which still keeps the traditional elements untouched. Following the same architectural style, the apartments ISABELLA offer visitors a pleasant stay satisfying their every wish. They have all the comforts of a modern lodging in a family and warm surrounding. They are consisted of seven spacious apartments that can accommodate big families. All apartments have their own fully equipped kitchen with the appropriate utensils for preparing breakfast or meals. 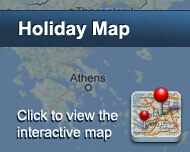 They still have a satellite TV, bathroom, hairdryer and balcony with fantastic view to the Aegean sea. The apartments have easy access to many beaches as Piperi and Piperaki, two of the cleanest and most quiet in the island, which can be easily reached within a 5 minute walk. Είστε ιδιοκτήτης ή διευθυντής στο ISABELLA APARTMENTS - SUITES; Εγγραφείτε τώρα για δωρεάν εργαλεία, που μπορείτε να χρησιμοποιήσετε για να βελτιώσετε την καταχώρησή σας και να συνδέσετε την ιστοσελίδα σας και το σύστημα κρατήσεών σας.